The goal of Victory Christian Assembly is to spread our Christian faith . We desire that all people would come to know the power of the Lord in their lives. 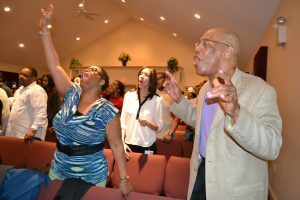 Victory Christian Assembly, based in Indiana, Pennsylvania , is a multicultural non-denominational Christian organization with over 25 years of experience ministering to university students and surrounding communities. Our desire is to lead people into an eternal and abiding relationship with our Lord Jesus Christ. View the video below for a quick overview of Victory.